ESPN's new president has quite a bit of work to do. Earlier this month, ESPN (really, Disney) named James Pitaro (or Jimmy, as many in the business know him) as the network’s new president. Most consider this a bold move. The highly regarded Pitaro is a rare outside hire for ESPN, one even more surprising because he doesn’t have much experience in television. Think of it as a NFL team hiring Nick Saban, Dabo Swinney, or Urban Meyer. Most folks had Pitaro as a top-three candidate for the job, but not as the favorite. A lot of that traces back to his last decade of work at Disney during which he turned some heads internally after moving over from Yahoo, but didn’t seem to have any standout successes. It's almost as if Pitaro has kept a deliberately low profile for the entire time he's been at Disney so as not to put any focus on the lack of anything noteworthy in his portfolio. I’ve only heard good things about Pitaro, but he’s stepping into an unfamiliar role and place at a very turbulent time for ESPN. Consider the trends he’s up against in terms of higher live rights fees as cable and satellite subscribers trend downwards. Obviously, Disney thinks Pitaro has a good grasp on the challenge he now inherits and with that in mind, let’s look at what he’ll be focusing on as he hits the ground running in Bristol. This is an easy one. ESPN and, by extension, Disney have put all of their eggs into the streaming basket. Disney will launch its own streaming service while also pulling their content back from Netflix. Disney will own a majority stake in Hulu if and when its acquisition of Fox moves forward. Disney now owns the majority of BAMTech and ESPN has been acquiring more streaming rights in hopes of building a lucrative subscriber base for many events that would likely not air on ESPN. Pitaro’s name isn’t necessarily attached to success of the ESPN+ launch since he’s entering the picture at the 11th hour. Much of the planning and strategy will tie back to the Skipper era. But Pitaro will certainly have to sign off on future rights deals for the service, the marketing campaign for the launch, and any changes that will be needed down the road in terms of pricing, model, and technology. This will be Pitaro’s biggest undertaking and if it goes well, we could be looking at a long tenure as president of ESPN and, down the road, perhaps the possibility of Pitaro being perceived as Bob Iger’s successor as Disney CEO. ESPN’s most prized possession is currently without an analyst and will be breaking in a new play-by-play announcer in Joe Tessitore this coming season. The network has also been considering whether or not to send the Monday Night Countdown pre-game show to the game sites at all. Putting aside the big question marks on the production side, there is some belief that ESPN would potentially look to move away from Monday Night Football and the massive 10-figure check the network has to write to air those games. Would ESPN perhaps look to get an inferior package of games like Thursday Night Football? Maybe split a MNF package the way TNF was shared for so many years? What if ESPN moved away from producing live games altogether and somehow picked up rights to be the sole provider of the NFL RedZone channels? ESPN certainly must have some type of unique NFL programming, but there’s the sense that the status quo is something unlikely to continue past the network’s current deal with the NFL. 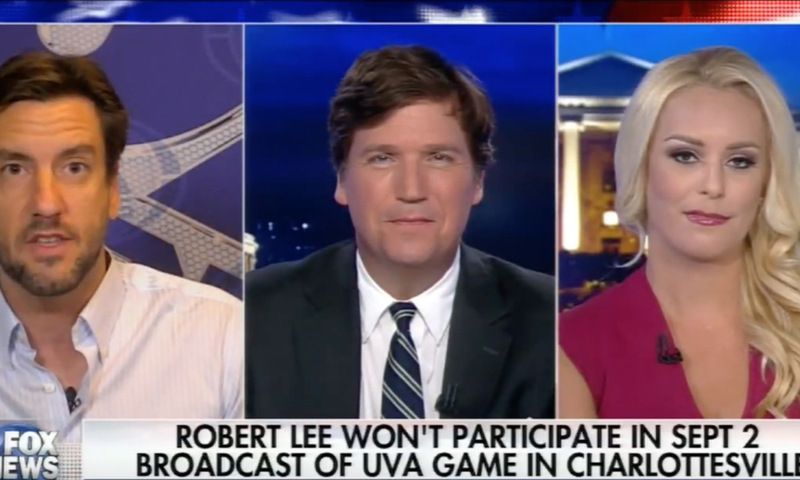 Initially, this segment was titled “Can the stink from Clay Travis’s skunk spray be washed off?” Many industry onlookers would argue that whatever sliver of conservative sports fans who have either cut the cord (oddly cutting FoxNews along with it) or claim to have quit watching ESPN (except for Monday Night Football, college football, NBA, college basketball, and 30 for 30), is a nominal amount of viewers that hasn’t impacted the bottom line. However, the word is still out in certain circles: ESPN leans to the left and they’ve been under a microscope for two years. Any move that brushes up against politics finds itself as major fodder for Breitbart and even Tucker Carlson. But it’s been a bit quiet on this front the past few months. Perhaps the worst has hit or maybe we’re just in the eye of the hurricane. Either way, Skipper never really got his hands around this issue and it boiled over seemingly every week. There is no real low-hanging fruit here for Pitaro, but early indications are that he’ll more engaged and proactive on this front than his predecessor was. Pitaro has already been vocal about ESPN’s political leanings during his first meeting with ESPN employees as president. If and when Disney’s acquisition of Fox goes through, ESPN will be the proud parent of 22 regional sports networks. 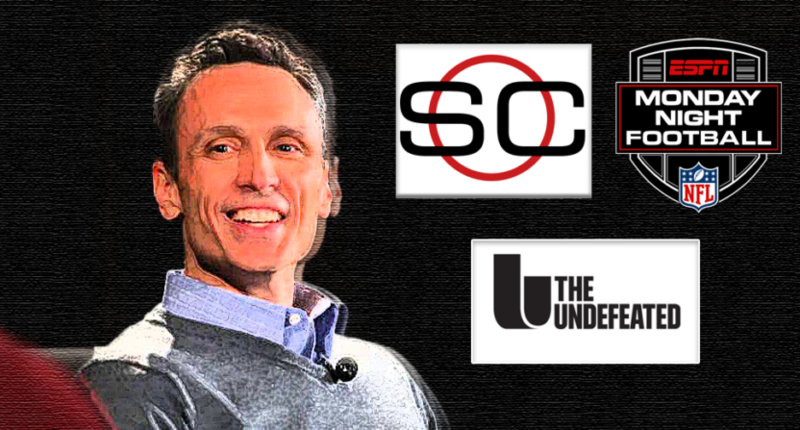 Although there is some thought that ESPN will be forced to sell a handful of them in order to appease regulators. The first question here is how much more subscriber revenue can ESPN squeeze from cable operators with these coveted channels under their control? In some cases, the added leverage of these channels could lead to some more advantageous deals with cable operators. In other instances, lapsing TV rights deals with various teams may see ESPN actually give ground in terms of revenue from these assets. 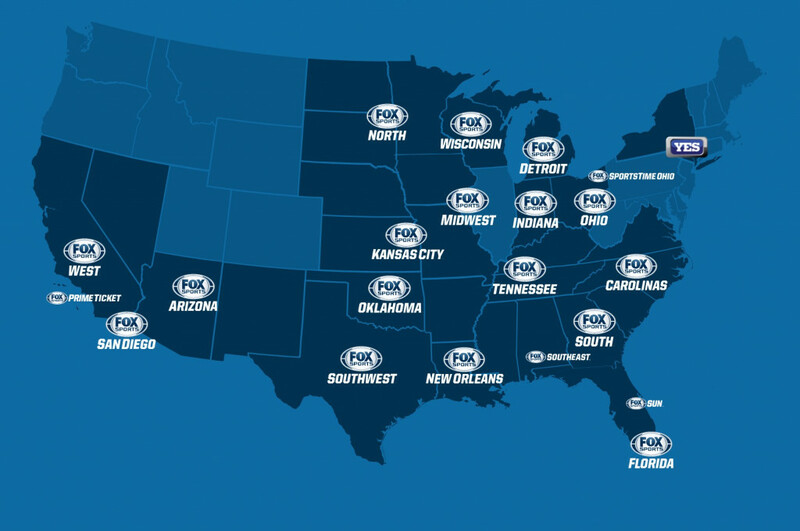 But how will ESPN rebrand these channels, if at all, given many may prefer the legacy local Fox brand? A more interesting question is whether or not ESPN can boost its sagging national programming by leveraging these local audiences. Many have tried and failed here and have opted for game reruns, shoulder programming, and squeezing something out of paid programming. Could Baseball Tonight make a comeback if it’s placed after post-game shows on various local sports channels? Could ESPN be more compelled to bid on NHL rights if it’s covering the league at the local level? Can ESPN better promote 30 for 30s and other specials by advertising them on these local channels? Again, Comcast and Fox have certainly tried to cross-pollinate their local audiences with national programming and it hasn’t moved the needle. However, ESPN has a much more successful history with national programming and much more established brands and personalities to present to local fans. There is some hope that being in front of more viewers, albeit not directly through ESPN, could help the network reverse the troubling trend with the majority of their non-event programming. What to do with ESPN’s vanity sites? ESPN is allegedly mulling over selling Five Thirty Eight, which was always a questionable fit for the company. Will they end up pulling the trigger on a sale? If so, the next big question mark is the fate of The Undefeated, which was John Skipper’s pet project and a bet he really staked his professional reputation on given how disastrous and messy the pre-launch was. Credit to Skipper and ESPN, The Undefeated eventually launched (despite having a fedora-wearing anchor weighing it down as it struggled to see the light of day). But despite the successful launch and a consistent flow of prestige content, many in Bristol and most outside observers are candid in their assessment that the site is nowhere near profitable. If ESPN showed little patience with Grantland to produce meaningful revenue, what would prevent Pitaro in making some drastic moves with The Undefeated as well? A possible sale? Decreasing staff? Some type of partnership or introducing a premium model? Pitaro is inheriting a circumstance that’s stick for many reasons and he may not find find too many folks volunteering a solution given the steep financial challenge that looms. Where can ESPN find value in terms of programming hours? If you watched TILT, you can by my friend. There is a strong consensus that ESPN will have to decrease its live rights spending over the next decade or, at the very least, lose live events to other networks. We’ve already seen this with the Big Ten, Big 12, and Pac-12. So if ESPN loses more rights, how would those hours be filled on the broadcast schedule? If ESPN got a slimmed-down MLB package, what would be televised on the nights of the week when those games would be? More documentaries? 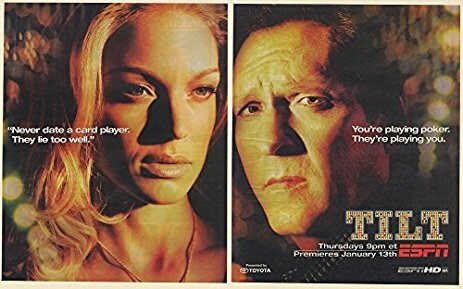 Bring back original scripted series and movies like they did in the 2000s? More debate? More highlights? Reality shows? To me, this is one of the more exciting opportunities for ESPN. The network has shied away from experimenting too much with new programming, mostly because there aren’t many hours to fill on their schedule. If Wednesday nights in the summer had something new that was high-quality and unique, instead of a Yankees-Rays game, I think they might actually do better, ratings-wise. We’re in a period right now in which Amazon, Hulu, and Netflix are spending tons of cash for new shows and while these usually are binge-worthy prestige dramas, it would be really interesting to see if ESPN could develop something beyond a highlight or debate show. This is a fun one to ask sports media pundits or employees in Bristol. ESPN has tried a few things, the most recent being SC6 which lasted barely a year and was the subject of a lot of headlines and ridicule from certain corners of the web. The biggest problem is that nobody wants an hour filled mostly with highlights since those clips are mostly a day old by 6 p.m. ET. Does ESPN have a personality who can fill that hour and attract enough of an audience to reverse the ratings trend? Does ESPN actually need a full hour of SportsCenter in that slot or could they plug-in some other programming? There is no low-hanging fruit here and I’m told that many in Bristol don’t want to touch this one with the challenges that go along with the time slot and its recent history. For a guy without any television background, Pitaro is walking into what many consider a no-win situation in trying to stabilize this slot on the schedule, along with the overall declining ratings from the entire afternoon block. 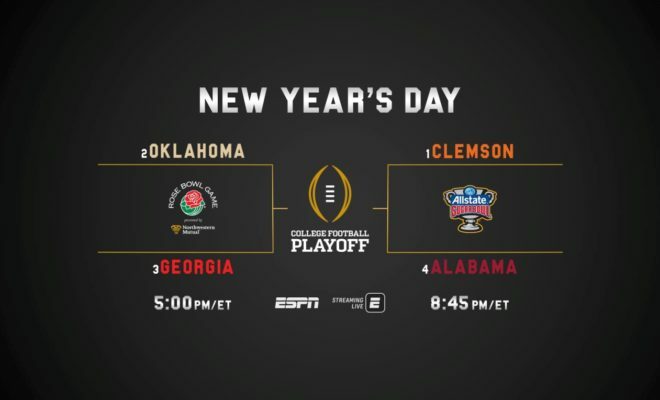 Can ESPN cash in by expanding the College Football Playoff or meddling in conference realignment? There is no doubt that ESPN was the biggest winner when the BCS went away and the College Football Playoff was born. The extra playoff games and additionally the nice added bonus of a highly watched weekly ratings show. ESPN has been pulling the strings behind the scenes with the college football postseason for a while now (including the added conference championship games), in addition to steering conferences towards the most optimal expansion and realignment scenarios from a TV money standpoint. Most college football pundits foresee another wave of changes to the playoff format, selection criteria, and the conference structure itself. There is certainly money to be made here and while Pitaro’s background doesn’t line up well with being hands-on here, the amount of money that could be up in the air means he’ll certainly be closely monitoring and weighing in on how ESPN asserts its influence here. Will ESPN become active in doing more digital deals? That’s how Yahoo and CBS ended up with subscription college recruiting networks. (ESPN dabbled in this business, but never did anything with Scout, 24/7, or Rivals.) That’s why Bleacher Report was purchased by Turner and is now ESPN’s biggest competitor digitally. It’s why ESPN has shuttered local sites while SB Nation blossomed from a network of team-specific sites to a billion-dollar unicorn spanning multiple verticals. All of these companies reached out to ESPN at some point and ESPN always said “No thanks.” Many moons ago, I took a run at a ESPN partnership at another company and the experience was maddening. But Pitaro comes from this digital world and knows first-hand from being at Yahoo how big some of these deals can be. Yahoo’s strength in sports was fueled by acquisitions of Rivals, tiny fantasy sports companies before that industry blew up and Citizen Sports, which now powers their mobile app. From a content perspective, The Ringer could be an option. (Nobody has any clue how much money they have in the bank or if they’re making money.) The Athletic is another possibility. VSIN and The Players Tribune could perhaps make some sense if those companies were motivated to sell, although I’m skeptical ESPN would show interest in either. There are a ton of pesky tech startups spanning ticketing, video, gambling, and social media. Perhaps Pitaro changes the culture where not everything ESPN does has to be created in Bristol. 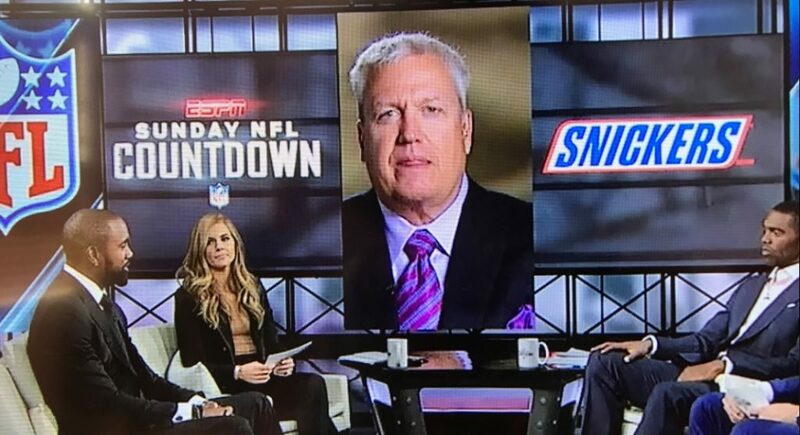 Sam Ponder’s first year as the host of Sunday NFL Countdown earned mixed reviews. Gone are Chris Berman, Tom Jackson, and Trent Dilfer. Hank Williams Jr. returned this past season, bringing back his iconic theme song (kind of). Ron Jaworski and Jon Gruden are both gone, leaving behind popular Xs and Os-centric shows. Ratings have sagged and ESPN has experimented with taking Monday Night Countdown on the road and not sending anyone at all to the games. Beyond some of the turmoil outlined above, programming has just seemed flat, especially compared to the NBA studio programs across ESPN, Turner, and NBATV. That’s a long way of saying that there is a lot of work to be done. Again, this isn’t in Pitaro’s wheelhouse. But considering the network’s rocky relationship with the NFL, he’ll certainly need to become involved here given the high amount of turnover and ratings losses the network has seen here over the last few years. Altogether, Pitaro has quite a list of things he’ll have to get his hands around in the coming years. We certainly look forward to covering his tenure at ESPN going forward.